Pennsylvania is the fifth most populous and 9th most densely populated state in the United States of America. It’s biggest states are Philadelphia, Pittsburgh, Allentown, Erie and Reading. 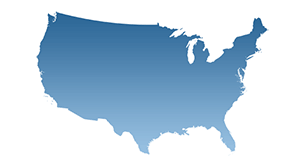 The population comprises of 78.8% Non-Hispanic White, 11.4% Black or African American, 0.3% Native American, 3.0% Asian, 0.1% Native Hawaiian and Other Pacific Islander, 1.7% Two or More Races, and 6.1% Hispanic or Latino. In time, the Hispanic population grew 82.6% between 2000 and 2010. Pennsylvania’s 2016 Gross State Product of $719.8 billion ranks the state 6th in the nation. Based on this, if this state worked as an independent country than its economy would be the 19th largest in the world. In terms of per capita income, Pennsylvania GSP stands at $50,665 and ranks 22nd among 50 states. Pennsylvania is one of the few U.S. states that is a commonwealth. It does not have any legal implication but emphasizes the role of the people in the state’s government. Allentown is the third biggest city in Pennsylvania, after Philadelphia and Pittsburgh. James Buchanan was the only president from Pennsylvania. On a lighter note, there is a law that in Pennsylvania that forbids singing in the bathtub. Another forbids the sweeping of dirt underneath a rug. This state has the highest Amish population in the world. If you are visiting the state then you should travel to Kennett Square, which is the mushroom capital of the world. It produces one million pounds of mushrooms per year and has an annual mushroom festival. Another interesting fact is that the first complete Tyrannosaurus Rex skeleton can be found in the Carnegie Museum in Pittsburgh. If you love your furry friends then you should visit this state when the world’s largest furry convention, Anthrocon. The first baseball stadium was built in Pittsburgh. In 1946, the world’s first computer was used in Philadelphia.When America was stitching together states and forming a country, Pennsylvania was the only colony of the original thirteen that did not border the Atlantic Ocean. A fun fact is that Benjamin Franklin started the country’s first zoo in Philadelphia. A reassuring fact about Pennsylvania real estate is that the median home value is $173,602. There has been a 77.43% appreciation in real estate between 2000 to 2017. On average, the market rent is $1,100 per month. The largest percentage of homes were constructed between 1940 and 1969. Also, the largest percentage of homes fall under the 57.1% which comprise of single-family homes among all homes. Among these homes, 43.2% of all homes are three bedroom homes in Pennsylvania. 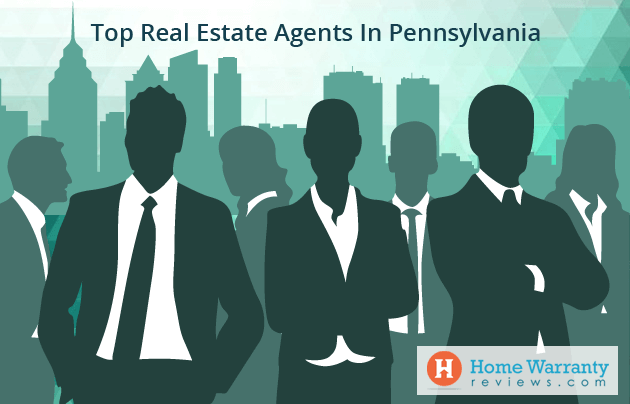 Here are the top 15 realtors in Pennsylvania. This is a comprehensive list of real estate agents that have been popular, rated highly and have a great track record by making significant sales in the past few years. 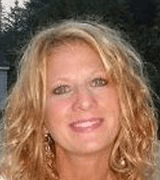 Annette is the owner and realtor of a top producing real estate group in Pennsylvania. With 16 years of experience, she specializes as a Buyer’s Agent, Listing Agent, Relocation, and Staging. For several years, she has been a top producing agent and a multi-million dollar producer. She has expanded her skills and earned a certification as a Luxury home specialist. With this certification, she can provide services to sell homes to luxury home clients in Central PA valued at $500,000 and more. Annette’s success is based on performing consistently at the highest level to ensure that her clients get a First Class experience. She also believes in saving her real estate client’s money during transactions. When she is not working, Annette loves spending time with her family, gardening, and motorcycle riding in Central PA and cooking. She takes time to keep up with trends in the real estate market, make marketing plans, work on motivational skills and review the financial and economic environment. She works hard to provide her clients with a Stress-Free, Hassle Free real estate experience. Currently, she resides in the Penns Valley area with her husband, Jey, and cute Pomeranian, Tika. Ashley is a York real estate pro since 2006 and has an experience of 12 years. 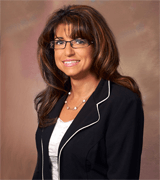 She specializes as a Buyer’s Agent, Listing Agent, Relocation, and Consulting. She is a lifetime resident of York and she graduated with a degree in Marketing and Management from Penn State York. It was in her first year as a realtor that she won the award for the Rookie of the Year. In time, she has gone on to be a multi-million dollar producer and has seven years of experience in listing homes and assisting buyers. She knows what it takes to get the best home within your budget. Currently, Ashley is a Gregg Clymer team member which is one of the leading teams in York County. Also, she is a member of the International Diamond Society with Coldwell Banker. She is dedicated to her clients and makes it a priority to see that her client’s goals are achieved. Benny is a real estate agent that is committed to making a difference in the lives of prospective buyers and sellers. He commits his expertise to buying and selling at the highest level in the local market. His specialties revolve around being a Buyer’s Agent, Listing Agent, Insurance, Landlord, and Landscaper. With his method of understanding the buyer and seller and reading what their needs are, he can help them through the buying and selling process. This commitment level has helped him build a remarkable track record of delivering results. When it comes to work, nothing gets him more excited and gratified after helping people meet their real estate needs. He ensures that you can get your questions answered and will work in your best interest. 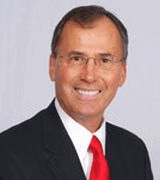 He prides himself on being honest, trustworthy, and knowledgeable in the real estate market. Based on his earlier experiences, he knows exactly how important it is to find your dream home or get the best offer for your property. By doing this, he will make it his responsibility to achieve those goals. Regardless of whether you are looking for your first property or you are an experienced investor, he will ensure you find the property of your dreams. From setting up site visits, ensuring that the home is in top-notch condition, all the papers are in order and you get the best price for your property. 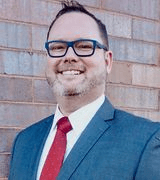 Brian is a realtor with 14 years of experience and specializes as a Buyer’s Agent, Listing Agent, Short-Sale, and Consulting. 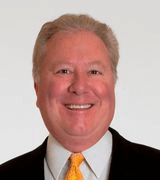 He has been a consistent top producing realtor from Century 21 Advantage Gold, which is now the largest Century 21 Firm in Philadelphia, Montgomery, Bucks, & Delaware Counties. His philosophy when it comes to work is to do whatever it takes. His idea of working with clients is to ensure that their number 1 goal is my number 1 goal. He has helped several people sell their properties which were listed on the market for a long time but unsuccessful in selling. He has also helped first time home buyers realize their dreams of homeownership. Additionally, he helps investors that look to move up or downsize their homes. 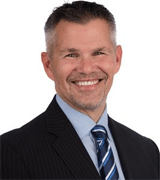 As a Floyd Wickman Master Sales Academy graduate, he has had business with hundreds of clients. This helped them reach their Real Estate Goals ever since he started his career in 2004. Most of this has come within the past three years of the worst economic crisis years. With approximately 40% of business coming from repeat and referral business, it is vital that he gives his best and encourage stronger service and results every time. 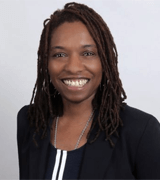 Candy is a realtor with 10 years of experience and her specialization includes being a Buyer’s Agent, Listing Agent, Relocation, and Foreclosure. She loves being known as a navigator to home buying and selling process. As a native of Pennsylvania, she has lived in McKean County for most of her life. She loves the area and beauty that its boasts of and it make it impossible to imagine living anywhere else. This has helped her become an expert on the entire region and she is dedicated to helping clients live their Pennsylvania dream. She cares about her clients and customers like family and this has been a guiding principle for her. In her decade-long career, she has a clear depiction of her love for guiding and advising others. Her work will help her clients reassure themselves in important aspects when it comes to decision making. Her hobbies outside of Real Estate include biking anywhere, hiking, canoeing, reading and partaking in any and all outdoor activities. She treasures her time with her three grown children and her pets. Tucker has been a realtor for more than 25 years. He specializes Buyer’s Agent, Listing Agent, Relocation, and Staging. He feels that its best to connect with clients in person than a simple call or via the internet. He has been active in land development, new construction, residential resale and relocation projects. He is a certified real estate instructor and nominated for the Realtor of the Year. As a licensed broker, he has managed and owned a successful real estate company before he merged it with Prudential in 1997. Some of his accomplishment include being one of the top 2 realtors in Delaware with Berkshire Hathaway HomeServices Fox and Roach Realtors. This is a 5000 agent company with 5 offices and 275 agents in Delaware alone. Since 1987, he has been working with real estate and handles five additional top performing licensed realtors with the Robbins team. He loves skiing, biking, boating, woodworking, and traveling in my leisure time. He has lived in Texas, Tennessee, Virginia, and Germany. This gives him an edge and he knows what it takes when it comes to moving. Currently, he is the president and owner of White Robbins Property Management and manages five full-time property management experts. At present, they manage about 240 single family homes and townhomes and 400 – 500 lease only properties. 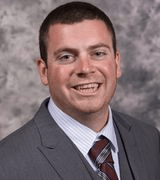 Dave is a realtor at Dave Tumpa of Northwood Realty Services. He believes in the philosophy of leaving people better then we found them. His specialties include being a Buyer’s Agent, Listing Agent, Relocation, and Consulting. When it comes to making a difference in the lives of other and ensuring that they give their best to those that they come in contact. Communication is key for their business and so it trusts as it builds the foundation of all healthy relationships. He prides himself on not always sharing what our clients ‘want’ to hear, but rather what our clients ‘need’ to hear. Similarly, when it comes to buying and selling they survey the market, find out the best possible properties and ensure that all documents are clear titled. Based on the needs and desires of the client, Dave will work with his team to understand the buyer or seller and work towards a closure. At times, buying and selling can be challenging but with their skills, talents, tools, and resources, they will ensure that the transaction is smooth and seamless. This means that they will do everything they can and work in the right direction to get the job done. Their logic is to make a difference, one move at a time. Deborah specializes as a Buyer’s Agent, Listing Agent, Relocation, Short-Sale and Property Management. She feels that having the right real estate agent is all it takes to complete a sale. A person that is committed to helping you buy or sell your home with the highest level of knowledge on the market. This means that you should be able to understand the buying and selling process with the help of your broker and this should be a smooth and stress-free process. This helped them build a remarkable track record of getting the best of results. She loves it every time she plays a role in selling or buying a home on behalf of a client. Based on your interests and how much you are willing to spend, she can help you get the best bargain for your investment. Also, if you are selling, she will ensure that you get top dollar before going in for negotiation. You can put your trust in her on being, trustworthy, honest and knowledgeable. Having constantly updated her information and getting all the details about property documents, she makes it a point to stay on top of things. In this manner, she takes it upon herself to ensure that you find your dream home and get the best offer for your property. She will make it her absolute goal to make this dream a reality. Based on whether you are an investor or a first-time buyer, she will take into account all your questions and look to answer them and find you the place that you can one-day call home. Donald is an experienced real estate agents with 11 years behind his belt. He strives with his Clients First approach to be approachable and work towards building relationships. His specialties include being a Buyer’s Agent, Listing Agent, and Foreclosure. For over 13 years, he worked for Walt Disney World and he worked towards instilling a strong real estate career. This level of service that he provides is something that he finds hard to beat. This means that if he has to he will live, breathe and work through it. In terms of his approach to business, he goes about this through sales, listings, leadership, and leases. When it comes to building relationships, he creates a positive experience with his Clients First approach. This means that he tries to be the first in the market to have knowledge about a new development, provide ways to make time so that the buyer or seller is briefed on the real estate process. He makes focused efforts for all clients and ensures that he gives all his clients the same great work satisfaction with his undivided attention. He will do whatever it takes to help you with a purchase or sale whether it takes a day, week, month or a year but he will make the deal sail through. He suggests that you should hire him to provide a Clients First approach, Passion for helping, Positive experience, Hard work, Dedication, and Trust. 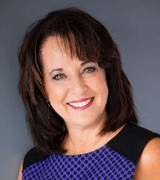 Donna is a real estate agent that specializes as a Buyer’s Agent, Listing Agent, Relocation, and Consulting. 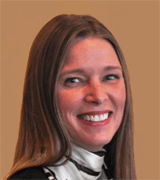 She is a realtor with the Century 21 Smith Hourigan Group for the past year and works out of the Shavertown office. A lifelong resident of the Wyoming Valley, Donna has been a resident of the Back Mountain community for the past 24 years. She is a student of College Misericordia, with a Bachelors of Science Degree in Business Administration. In terms of work, she has been employed in the past in the Insurance Industry for ten years in the area of customer service and commercial sales. It was only in the last few years that Donna got involved with new home construction and sales in the Dallas area. Also, she has a lot of experience as a home decorating and this helped her decide that she would become a real estate agent. Her passion and enthusiasm have worked to her advantage and this has helped her in buying and selling homes. Frank was born at the Pennsylvania Hospital and raised in the Main Line suburbs. He now lives in Rittenhouse Square. For the most part of his life, he has lived in Philadelphia and the surrounding areas. He graduated from Haverford School, then matriculated to Ursinus College and then Temple University Beasley School of Law. It was while he was practicing real estate law in a Center City law firm that he decided to complete his transition into real estate and make a career change. Slowly, he began to learn how to buy, sell, invest and develop real estate in Philadelphia. It was when he was developing these skill sets that his experience made him a qualified realtor to represent his clients. The CenterCityTeam is a group of top Real Estate Agents who have served the Philadelphia community. This they do with honesty, integrity, and superior customer service since 2005. This team has received every top agent award that Prudential Fox & Roach offers and have been recognized as elite Real Estate Agents by Philadelphia Magazine. 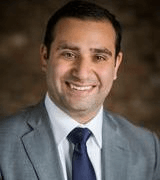 Frank is the CenterCityTeam founder and he eats, sleeps and breathes Philadelphia real estate and giving the sophisticated buyer or seller of real estate elite service is his passion. Frank and his wife Maria founded the CenterCityTeam in 2011 after working as buyer’s agents for two of Philadelphia’s highest producing real estate teams. They work hard to ensure that they can help with buying, selling, renting, developing, or investing in Philadelphia. Jason is a realtor with 16 years of experience and specializes in Buyer’s Agent, Listing Agent, Relocation, and Consulting. Jason has won several awards and was the top producing agent at RE/MAX Select. He founded the Jason Rakers Group and understands that clients are the most important part of his business. He provides services like none other. Selling is a learning process and no two clients or listings are the same. Each has its own individual characteristic and challenge. It is by overcoming this challenge that he learns lessons that enable them to improve. 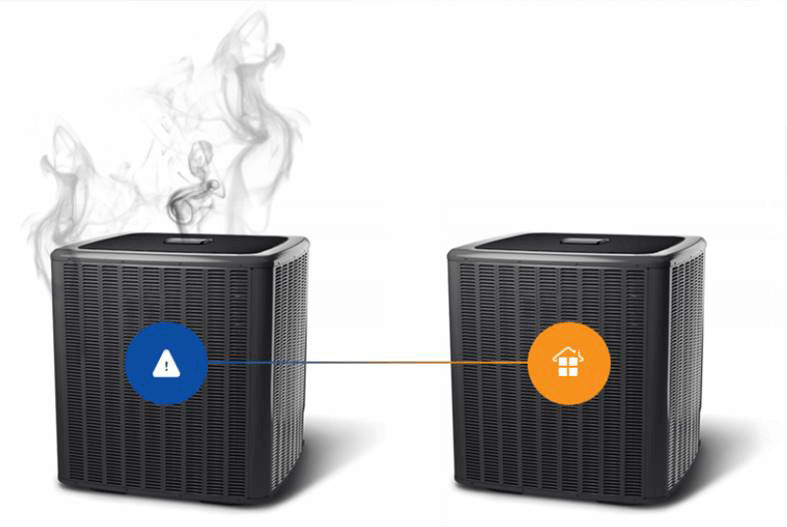 This can be done in the quality of service, the time of closure and solve other issues that crop up. His main aim is to help people buy and sell in his profession. Every day is different and tells a different story and he tries to help his clients. He helps his clients accomplish their goals and sell at the highest possible price and buy at the best possible price. He makes it a point to realize the maximum potential of their investment. The tireless spirit and the love and desire to help people are some of the essential characteristics of the group. At times, they work closely with people and try to ensure that the entire real estate process is smooth and simplified. Jay is a broker with 14 years of experience. 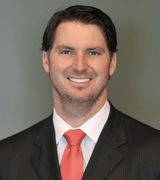 He specializes as a Buyer’s Agent, Listing Agent, Foreclosure, and Short-Sale expert. He resides in Spring Mills subdivision and lives in Eastern Panhandle of WV for most of his life. In time, he graduated from George Washington University with a bachelor’s degree in international business/finance and got an MBA from the University of Maryland. Later, he started investing in real estate and managing rental properties since 2002. It was around this time that he felt that he should be a realtor and became a full-time agent in 2004. As the years passed on, he worked hard at closing properties for clients and referrals and it was his hard work and dedication that helped him earn awards. 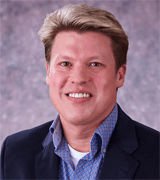 He started Home Quest Realty in 2012 as a broker and owner licensed in West Virginia and Maryland. In 2014, he was selected and graduated from the West Virginia Association of Realtors Leadership Academy inaugural class. 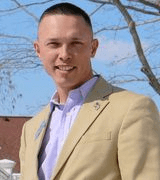 Since then, he has served as Director for the Eastern Panhandle Board of Realtors. When it comes to work, he always wants to be on top of things and loves to learn something new. He believes that learning never ends and has gained a considerable exposure based on his work of over a decade. He enjoys selling or investing in something new and you can trust him with any confidential information He can serve you in West Virginia, Maryland and Pennsylvania. Joy owns and manages the Joy Daniels Real Estate Group and has been a realtor for 26 years. He specializes as a Buyer’s Agent, Listing Agent, Relocation and Property Management. When the company first started it was unique to the Central Pennsylvania region. Like the specialization of doctors and attorneys, licensed realtors grew significantly as the years passed on. With continuing education, updating of information and exhaustive training and practice, they have been able to have an equivalent of a graduate degree in their field of specialty. These specialists that earned this degree consist of the best of the best and only the elite continued to rise. Additionally, their customer service staff is well trained and have adapted to specific skills and how to specialize in all aspects of running a real estate business. When it comes to the real estate process, company activities and legal work, it is done with a high sense of care over each seller and buyer that they come in contact with. In time, they work hard to achieve their dreams and goals and find the right home within a fixed budget. This is the essence of real estate business and they understand that it does not simply come down to numbers but relationships and goals. Kit is a real estate professional and specializes as a Buyer’s Agent, Listing Agent, Relocation, Foreclosure, and Property Management. His mission statement is to have his team of professionals provide the ultimate in personal service and sales results. For him, the customer is always right and he strives to be the number 1 team in the market. In 2011, Kit and his team have been recognized by the Prudential Real Estate Affiliates. This makes them one of the top 100 agents for the 13th year in a row. This is thanks to completing sales exceeding $110 million for 2009, 2010 and 2011. Together with his team, they have been able to sell more and continue to have a strong commitment to their real estate goals. As the past President of the Chester County Association of Realtors, past member of the Board of Directors for the Chester County Association of Realtors and Pennsylvania Association of Realtors, Kit, and the team continue to stay involved and contribute to the real estate community. Kit believes in delivering the strongest personal service and is result oriented for his sellers and buyers and believes in doing business from the heart. Kit and his team believe in commitment towards the community. They spend time and give back to the community which they live and work in. They do this by giving back part of their transactions that are donated towards local charities. The team provides sponsorship and support to the Police Athletic League, Good Will Fire Company building fund, West Side Little League, Domestic Violence Center, Children’s Hospital of Philadelphia, Brandywine Polo Club, Chester County Bar Association, Chester County Cares, Chester County Art Association, Relay for Life/American Cancer Society, Chester County Senior Center, Fighting Back and Family Services of Chester County. There’s more to Pennsylvania than cheesesteaks and the Declaration of Independence. This state is home to a whole lot of junk food from Auntie Annie’s to Hershey’s. You can find Sylvester Stallone’s Rocky Balboa statue at the Philadelphia Museum of Arts. 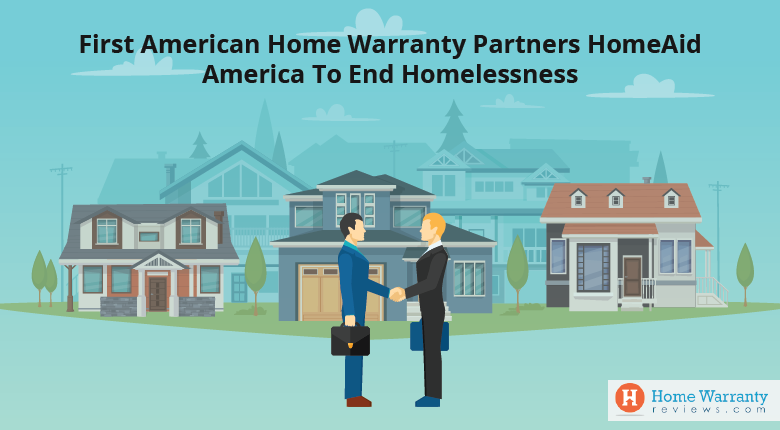 But if you are looking at Pennsylvania as a place to live in, then you should look at home warranty option while you’re at it. 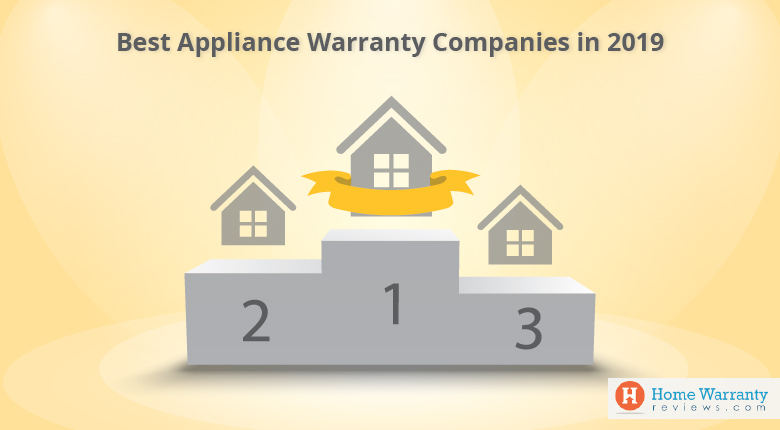 Take a look at the medium home warranty prices and with a bit of reviewing you can look through companies and customer feedback. Also, you need to work on your mortgage and what better way to determine your payment with a free mortgage calculator mortgage calculator. Here, you can check your payment schedules and figure out if you are paying an extremely high-interest rate and if this cuts into your savings. This way you can stay on top of payments and be a cut above the rest.